Below is a growing body of multimedia resources. Check back to this page for more installments in the future! Also, don’t forget our Resources page for further resources in text essay form. For our most in-depth materials, please see our Educational and Inspirational Spiritual Naturalist Archives accessible by members of the Society. Click here to see our recommendations of videos produced by others on YouTube. The Spiritual Naturalist Dialogues is a growing and ongoing series of audio posts (podcasts) that will feature conversations on topics of interest to Spiritual Naturalists. These are available to Supporting Members of the Society. Below is a sample episode! If you would like to learn more about joining the Society, please see this link. RITUAL, with B.T. Newberg & DT Strain [20 minutes]. – Deconstructing the Christmas Gift – SNS Director, DT Strain interviewed by John Hockenberry of “The Takeaway” for Public Radio International and WNYC, with the New York Times and WGBH Boston. – Is it possible to think too much? – What is more important: honesty or compassion? 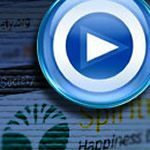 – How do Humanists do spirituality? More resources are available to Society members. Find out more about membership in the Society here!